Glittered leopards with affection and charm. Exotic patterned, rosetted babies, raised in home, handled from birth. Socialized and pampered! Health guarantee, vet checked with 2 sets vaccinations, pedigree, testing, contract and support for the life of your bengal. Tell us about your family and what you are looking for. Registered members of TICA/TIBCS. FeLv/Fiv free cattery. 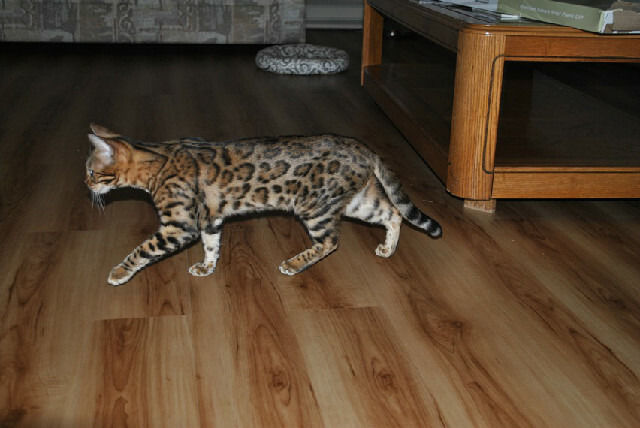 Select kittens available for breeding or show..We also offer the F3/ F6 savannahs .